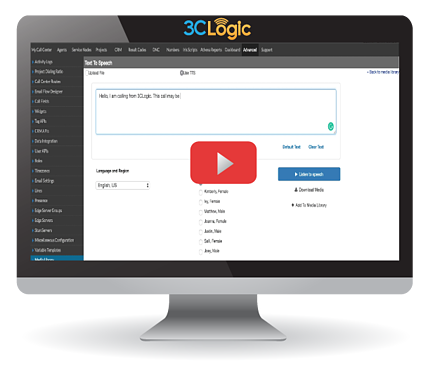 Because you rely on your frontline communications team to create profitable experiences for your enterprise with every engagement, it's time to arm your team with 3CLogic's cloud communication platform's outbound calling capabilities. Auto dialer to minimize time spent between each interaction and reach more prospects, faster. Text-to-speech technology to personalize your outbound reminder messages, notifications and calling activities. Auto screen pop pulls contact data directly from your CRM, system of record, or customer service management platform to provide key insights for superior customer service. Quality management controls allows supervisors to monitor agents' communication effectiveness and ensure adherence to company and industry protocols.